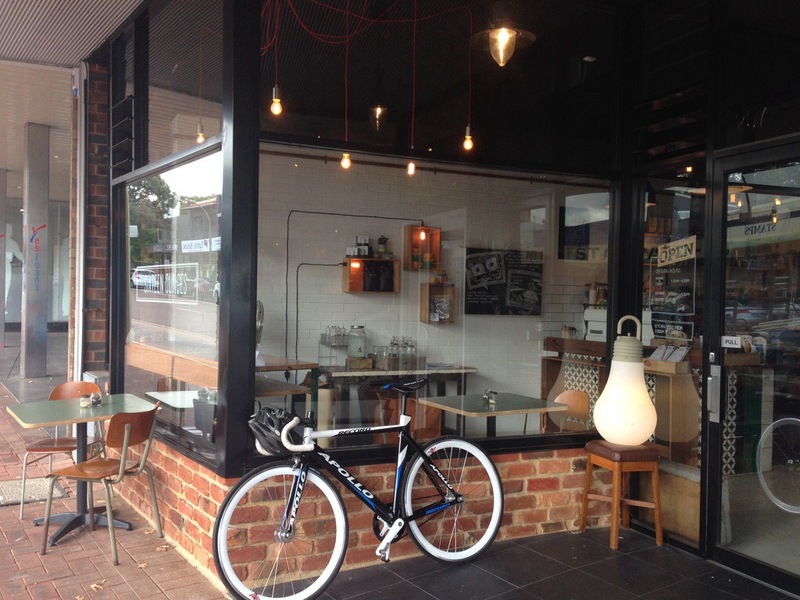 We stopped by Sixteen Ounces on Albany highway in Vic Park on a leisurely Monday morning. This lovely little cafe had only been open for 9-10 weeks, but it has that comfortable feeling of a place that’s been around for so much longer. The fit out is just great. 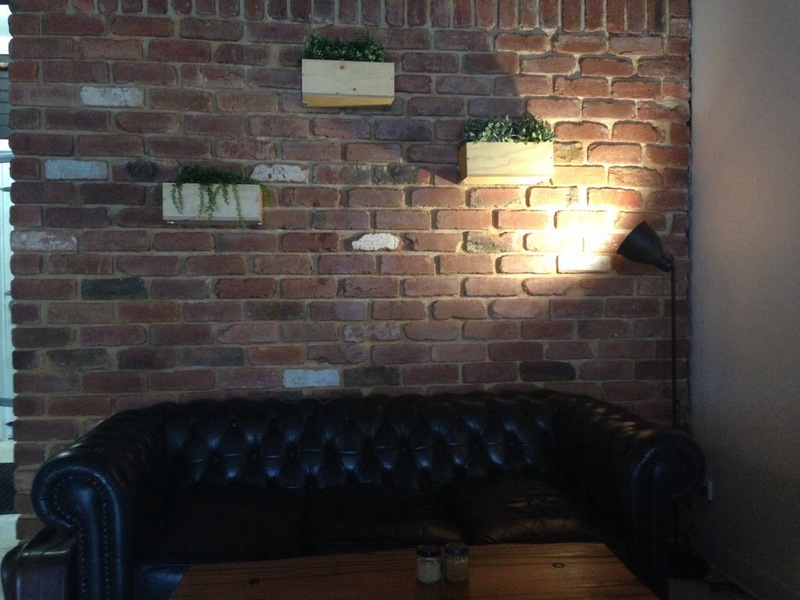 The cafe is a little rough around the edges, with some exposed red brick and a mix of wood and concrete. 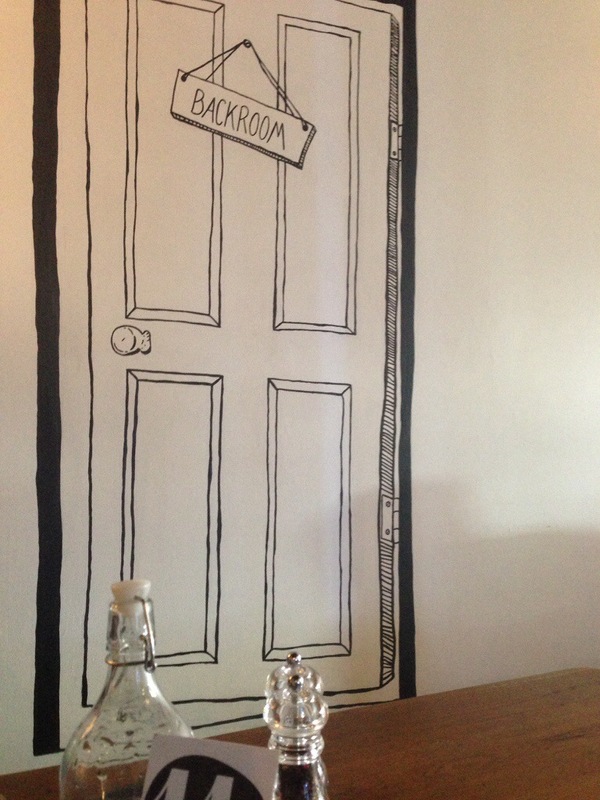 The white walls are adorned with some pretty fantastic things, our favourites were the stag heads but art like this door also took our fancy! The fit out is made all the more impressive by the discovery that the owners put it all together themselves, right down to the impressive wooden shelving and benches. 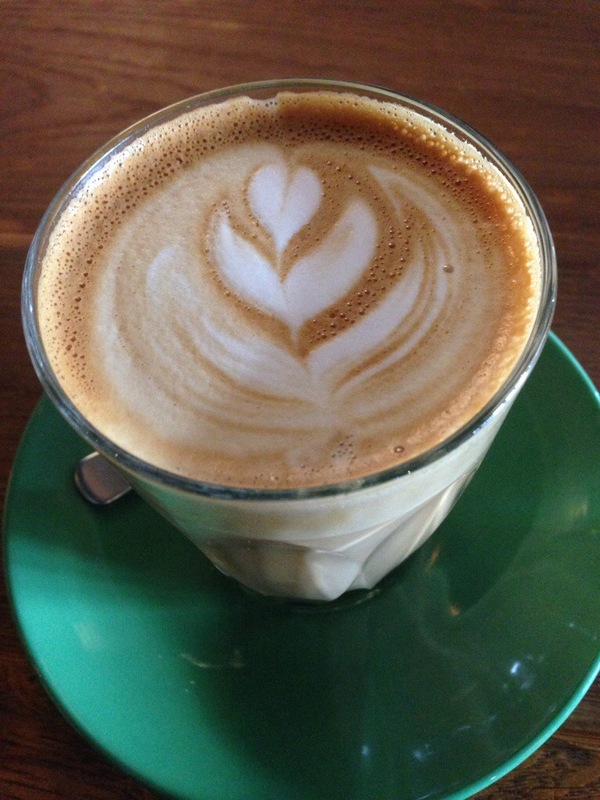 Sixteen Ounces is just the kind of cafe we like to frequent. Ordering coffee here you have a selection of a blend or single origin, it’s not surprising that we went for single origin lattes. Our coffee was full bodied and rich, with a lovely flavour. Next up came the food. They still have a fairly limited menu for breakfast but there was plenty we wanted to try. 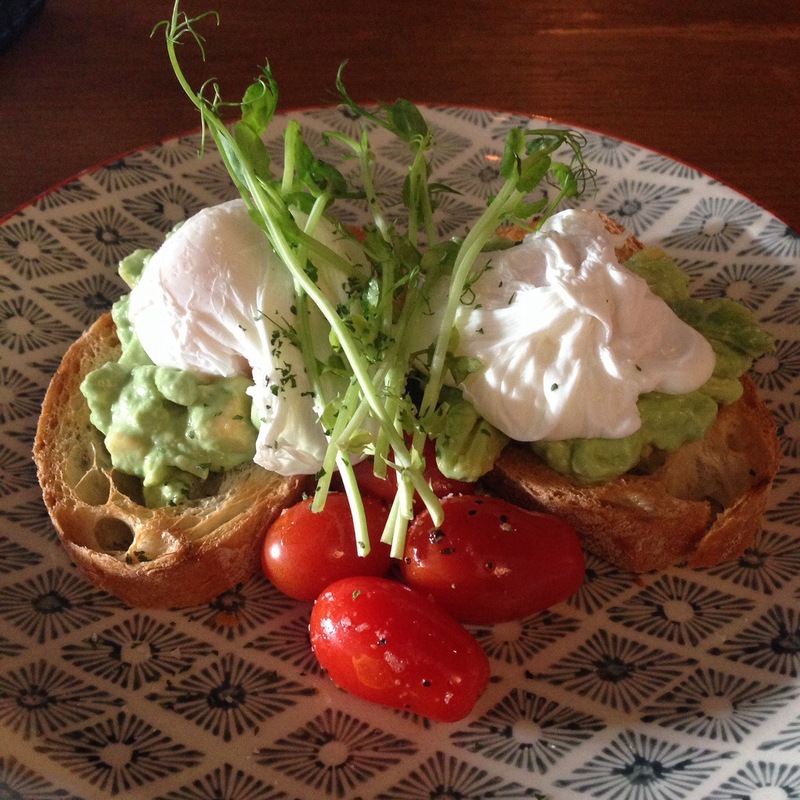 Our first dish was the avocado smash with poached egg and roasted tomato. It was quite a simple dish with a tired and tested mix of flavours. With the exception of there not being enough seasoning everything worked really well. The tomato and avocado were fresh and had lots of flavour, and the toast had a good crunch to it while still being easy to cut. Sure it’s not the most of exciting of breakfasts, but it was nicely executed. Upon noticing the French toast on the menu (despite competition from a wonderful haloumi dish) there was never a doubt we’d try it. 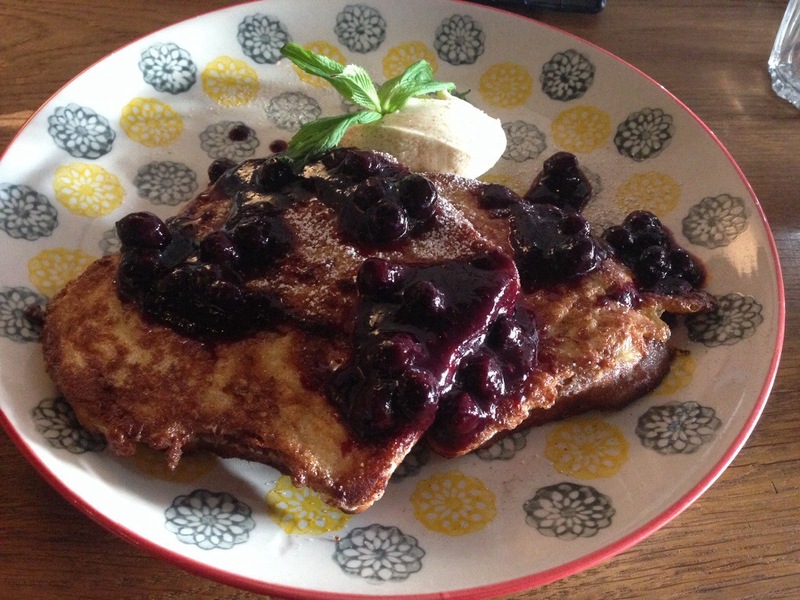 The brioche toast came with a thick and rich berry sauce, with lovely big blueberries visible. It wasn’t overly sweet French toast, and it was obvious nothing had been used to sweeten the batter. This was a nice change, and works well the the hint of tart from the berry, and the creamy tang of the mascarpone. It would have been nice to have a hint vanilla bean to the toast, even without any other sweetener. The toast was a touch soggy and a hint eggy, the vanilla bean would have helped cover that. Overall this was a really enjoyable breakfast, and those who aren’t keen on an overly sweet meal will really enjoy it. 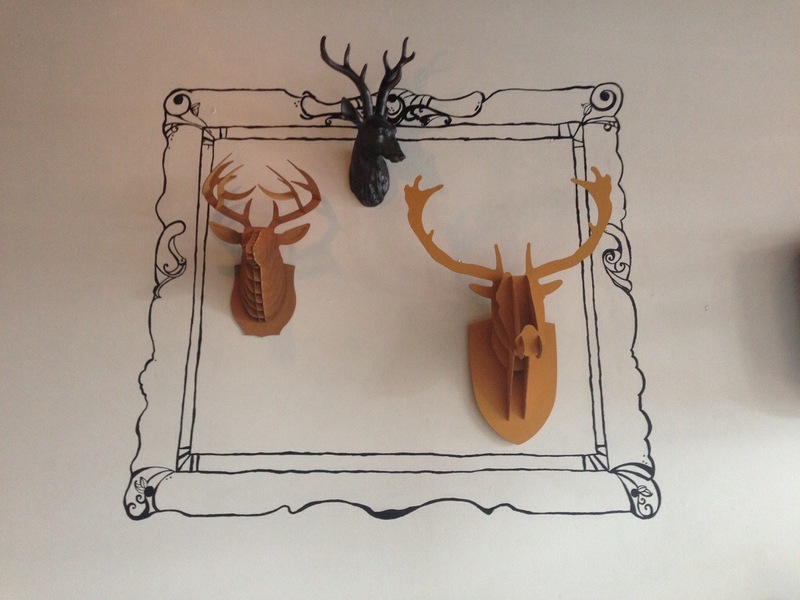 The staff at Sixteen Ounces were very friendly and knowledgeable. It’s what you look for, attentive service that isn’t overwhelming and staff who know what they’re talking about, and obviously love what their cafe does. This was definitely the case with the coffee knowledge here, and the food probably has a little further to go, but the enthusiasm is evident. Oh and while we were having breakfast we saw Andrew Embley (yes the eagles player), if an AFL endorsement is not the sign of a good cafe I don’t know what is. Okay, I do, good food, coffee and service, but since I’ve already mentioned those things I’m going to run with the AFL thing. 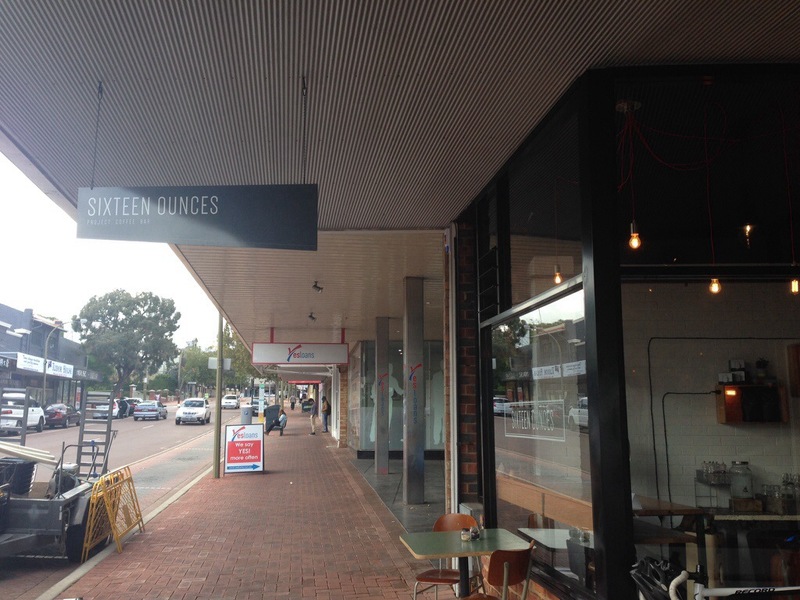 Point is, Sixteen Ounces was very impressive and when you’re next in Vic Park you should definitely check it out!